I participated in the most recent of these workshops, referred to as COAST (Community Organizing and Advocacy Strategies Training), in July 2018. This program brought people of different backgrounds together to learn the ways to find and solve disability-related community issues. Disability Advocates of Kent County is an organization specializing in a number of services to improve the lives of people with disabilities throughout the Grand Rapids area. 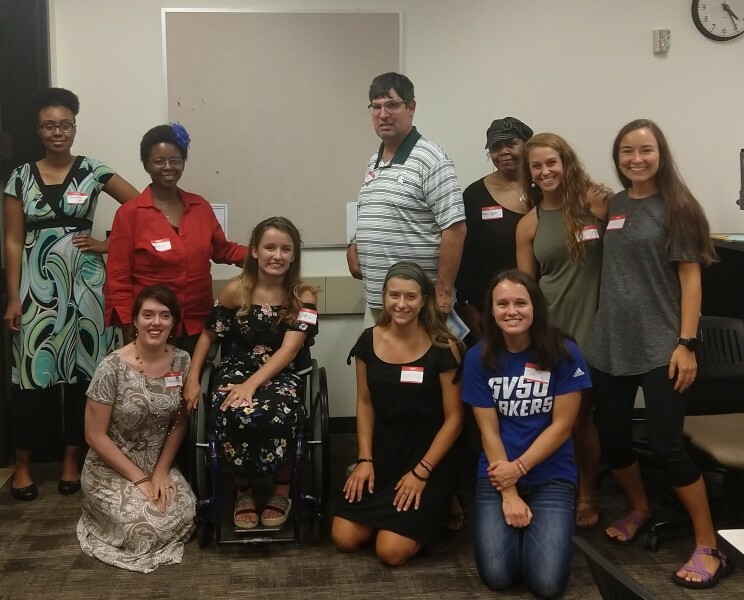 In recent years they have partnered with Grand Valley State University's occupational therapy department to create a unique and empowering week-long advocacy workshop that brings together budding occupational therapists with disabled community members. I participated in the most recent of these workshops, referred to as COAST (Community Organizing and Advocacy Strategies Training), in July 2018. This program brought people of different backgrounds, ages and experiences together to learn the ways to find and solve a disability-related community issues while developing important social skills and having fun in the process. Each day of the program was taken up by group discussions about various advocacy strategies, ranging from finding what makes a necessary community problem to reaching out to support groups and legislators to solve this problem. The specific issue we chose for the week regarded visitability, or whether or not people with any disability can access houses and other buildings effectively. In addition to group discussion, I contacted my student partner each day to talk with her about the progress that was made and also to answer any questions related to the day's learning via research. Working with other members of the disability community as well as with the OT students made me realize that even the smallest of tasks, like doing research and discussing ideas, can eventually make a great deal of positive difference in everyone's lives. One of the people who first got this program going a few years ago is Jennifer Summers, the professor of the GVSU course that uses this program as a teaching tool. Being an occupational therapist as well as a professor, Summers was very familiar with the disability world but thought that some disability rights events weren't promoting advocacy as much as they were promoting disability awareness itself. 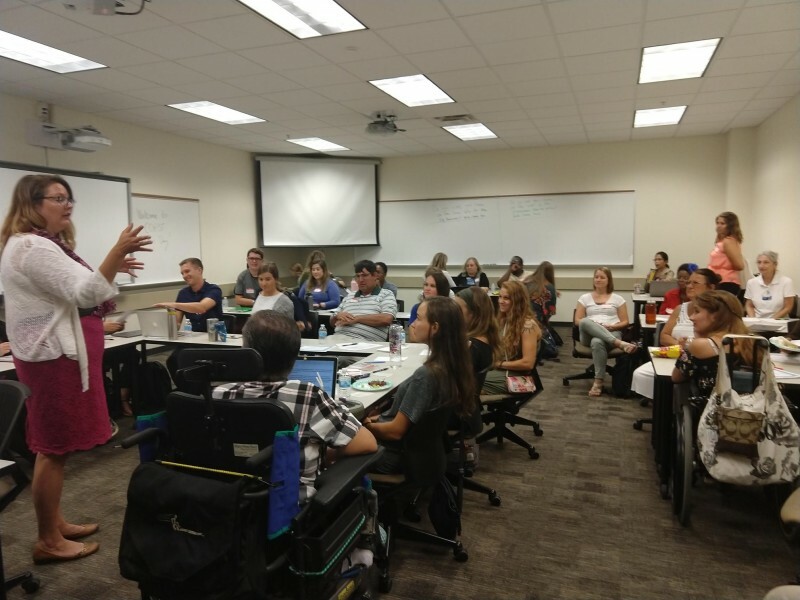 With the help of her occupational therapy students, she was able to incorporate real-world advocacy strategies into her courses, contacting Disability Advocates so that she could have her students work directly with disabled community members. This partnership eventually developed into the creation of these advocacy programs. Another person who had a significant role in both the program itself and the planning of it is Cassaundra Wolf, DAKC's community organizer. This being her first year in this particular position and her first real experience with community advocacy, she has gained some interesting insights into both the program itself and the way it affects the views of people with disabilities. According to her, this program opened up the idea that everyone, regardless of disability or anything else, has a story, and this program can help these people find and share those stories to improve the lives of themselves and others in their community. One of the things about this program that makes it so relatable and effective is the partnership between not only the OT students and the disabled community members, but the partnership of the disability community members themselves. 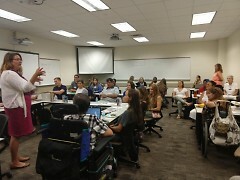 In the case of the OT students, they not only get to learn advocacy strategies in a practical manner but they also get to learn about the lives of people with disabilities and see those people as socially active members of communities rather than just people who need rehabilitation or treatment. In the case of the community members themselves, they learned the advocacy strategies while sharing their own unique ideas and opinions, connecting all of these things with the common goal of improving the lives of themselves and others. Everything that was learned in this program can be transferred into people's lives going forward, whether it is the students taking social perspectives into their therapy careers or disabled community members standing up for themselves as individuals and as members of a minority group. As with any program, there are a few things that could be changed or done differently in the future, such as the inclusion of small advocacy tasks for each day rather than just discussions and lectures and a plan for going forward with solving the issue after the week is complete. Even though this program had things to improve on for next time, there are a number of aspects of the program that Summers, Wolf and I would all like to see return. One of the most important of these is the friendships established through the group of community members, as each member of the group encouraged the others to share and discuss their ideas and eventually get tasks accomplished. Together with its messages, outcomes and ideas, the COAST program will continue to empower people with all kinds of disabilities throughout the community, through the use of social perspectives, common interests and positive partnerships.